What did you put for “address”? 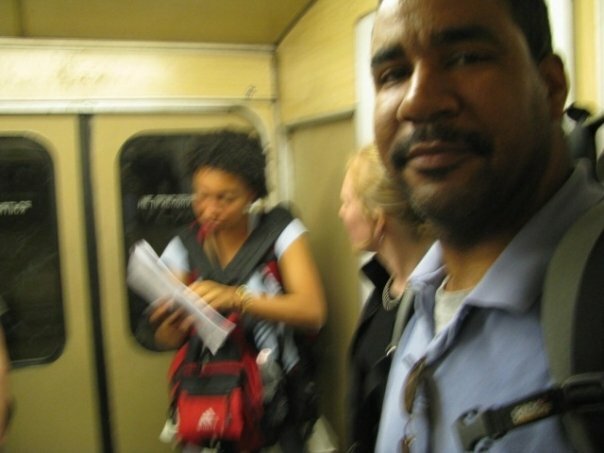 When we landed in Moscow I went and stood in line to get my passport checked. My mom and brother quickly went to the restroom. As I filled out my landing card, I never thought to be worried or nervous. When my mother and brother got back, they started asking me about the answers I had filled in. It was almost like they were cheating off of me in a 3rd grade test. My mom asked me, “What did you put for address’?” I told her I put “Hotel”. But I didn’t have one. I usually put “hotel” or “guest house” as my address when I travel. It has always been good enough. Besides, I never know which hotel I’m staying in until I actually check-in. Very rarely do I make reservations. As the panic started to set in, I realized that it was my turn. So… I let my mom go first. If I was going to be thrown in jail, at least my mom would be thrown in jail first… and then my brother. Maybe they would run out of space by the time it was my turn. Of course nothing happened. “Hotel” was a good enough answer. 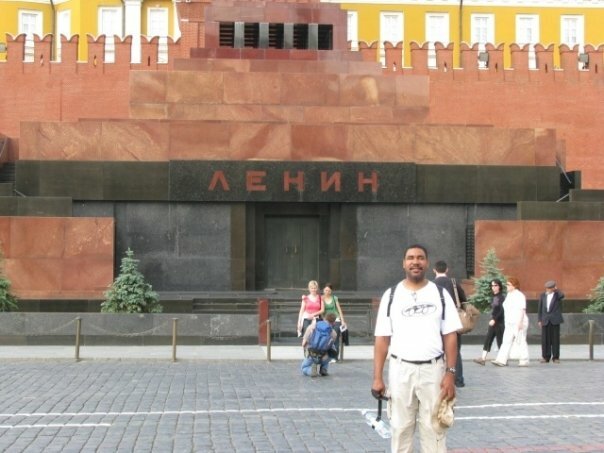 Last stop on my Dead Commie Tour 2008, was Lenin. Like with Ho Chi Minh and Mao no one is allowed to take pictures, all bags must be left at the Left Luggage for a fee, but going into the mausoleum itself is free. Lenin’s mausoleum was very creepy. There weren’t many people there. My mom, brother, a British girl we met at Galena’s Flat and I, were the only tourists in the tomb. It’s not very well lit and the walls and floors are black, so it was a little difficult to see where the steps were. When I saw Lenin, he didn’t look waxy like Mao or Ho Chi Minh. He looked like a dead man… a very dead man. His fingers were rotting, and his ears were turning black. They said that Lenin would be buried soon. I can see why. 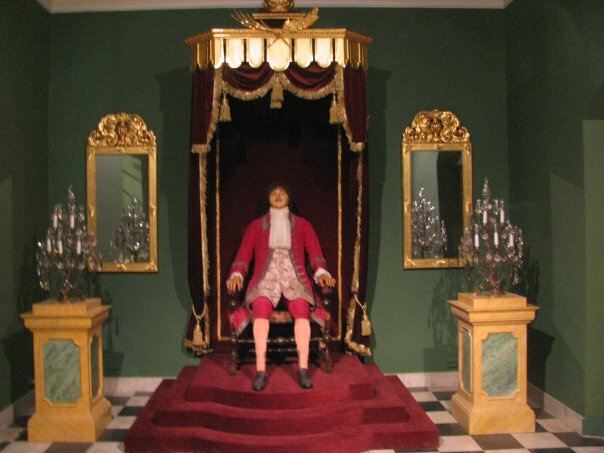 I know that Lenin has been dead a lot longer than Mao or Ho Chi Minh, but after seeing him, it makes me wonder if the other two, especially Mao, were real or just wax dummies. We stayed at Galina’s Flat. Galina is a Russian lady who likes to feed bread to pigeons. She lives in an apartment by herself and she has some extra rooms which she rents out to backpackers. The Ritz, it is not, but for a night or two it’s great, especially since Moscow is very expensive. She also has helpful books and notes left by travelers that have passed by. This is where we met Ellie, who gave us a tour of the Kremlin. You can find her address, Galena’s not Ellie’s, in the Lonely Planet or by just following the information at the top of this post. 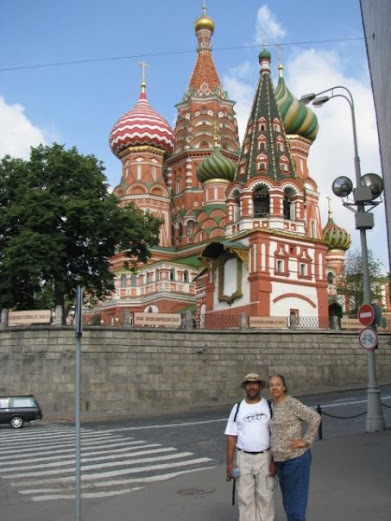 Because of my visa, we only stayed one night in Moscow. 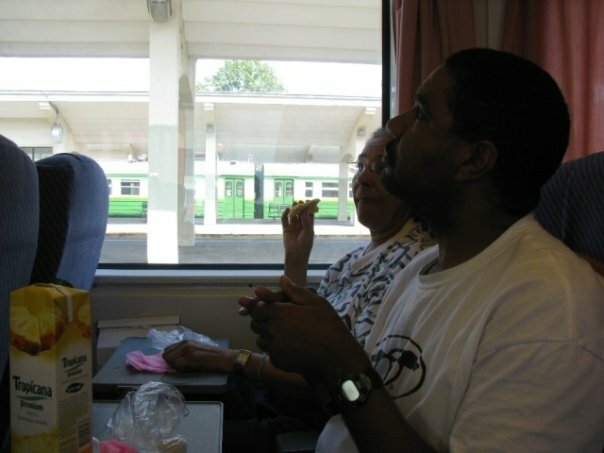 Our second Russian night was spent on a train to St. Petersburg. Does anybody know how to get to Helsinki!?!? 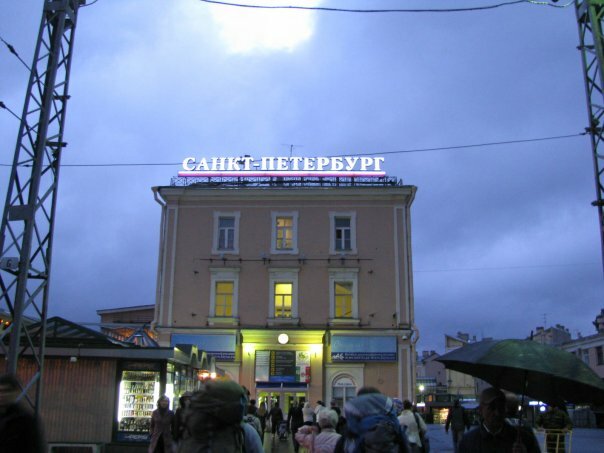 We got to St. Petersburg at 4:00 am at the Moskovshi Railway station and expected to buy our ticket to Finland there before heading out to go sightseeing. When we got to the ticket counter we were told to go to the Ploschand Railway station for trains to Helsinki. So that’s where we went. Of course, in my usual style, we got lost. We met a very drunk guy who was more than happy to show us the way. He also wanted us to go with him to his house. He told me how beautiful I was. I felt flattered but then, not 5 seconds later, he said the same thing to my brother. “You are very BEAUTIFUL man,” he told Malcolm. The guy standing thinks my brother is beautiful too. When we got to Ploschand they didn’t want to sell us tickets, or at least that’s how it seemed. Eventually, we figured out that they were trying to tell us that we had missed the train which made us very confused. How do you miss a night train at 7:00 in the morning? A man who spoke English, hearing the miscommunication, decided to help us. Ploschand only has early morning trains to Helsinki. We missed those trains, though we didn’t want any of them. We needed to go to Finlyandski for evening and night trains to Helsinki. After getting lost one more time, we finally got to the Finlyandski Railway station. There seemed to be several very long lines with no indication as to where the lines were going. 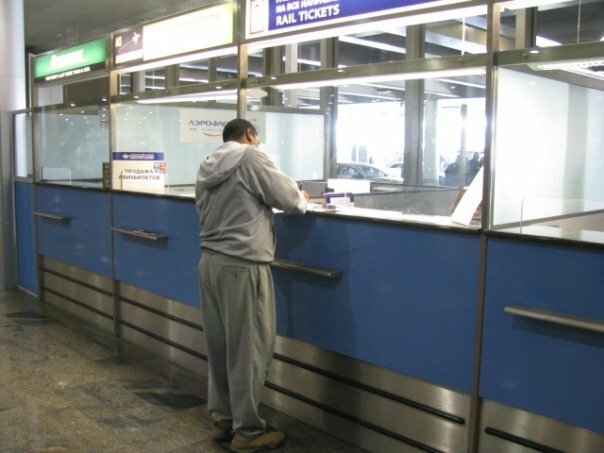 But there was one sign in English and it said something like Train tickets for Foreigners. So we went there. We met a lady, a Russian who works in Finland, who was also caught up in the confusion of which railway station has night trains to Finland. She helped us get our tickets and we took her to see the Winter Palace. Yes, WE took HER. Although she was Russian, she was from a different part of Russia, nearer to Siberia, and this was her first time in St. Petersburg. We figured that since she arrived in the city at 7:00 am and we got there at 4:00 am we had actually been in St. Petersburg longer than she had and knew the city 3-hours-worth better. Later we took a night train to Helsinki and got to the border several hours before my visa expired. No Russian jail for me, this time. You can enter this country by land, air, or sea. Just make sure to start working on your visa early because the process takes a long time. Make sure to ask for more time than you think you need. Unlike most countries that have a standard period of time based on your nationality (like Americans get 90 days entry on a tourist visa to Japan) Russia gives you exactly the days you say you’re going to be in the country (ie. July 15 to July 19 2008). If something happens and you need extra time, the Russian government has a go-f@*%-yourself attitude about things. I repeat this again because it is very important. 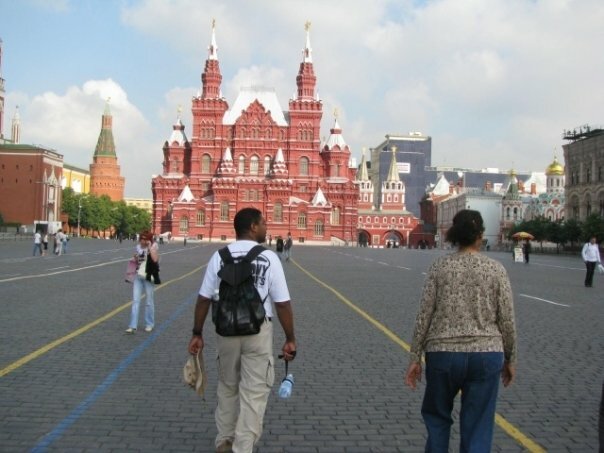 Start your visa request at least 2 months before you intend to go to Russia. This is a complicated task. You will need a letter of invitation. 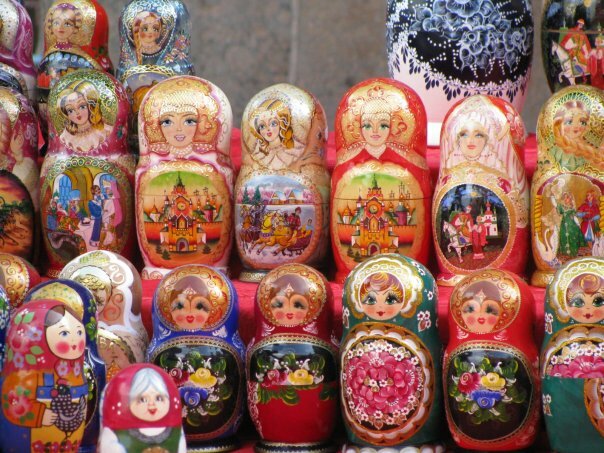 You can get this from the hotel you will be staying in Russia. Or you can buy one from an online company. after 230 m turn right at Chaplygina street. Galina’s Flat will be on the right side of the street opposite the Latvian embassy. Go through the arch to the yard and turn right. Press the button for ‘Galina’s Flat’. The walk takes about 7-8 minutes. It is better to call ahead and make reservations. There aren’t many economic places to stay in Russia, so the flat is usually full. But if you don’t have reservations and are in Moscow you should still call or drop by and ask if there are any beds available. 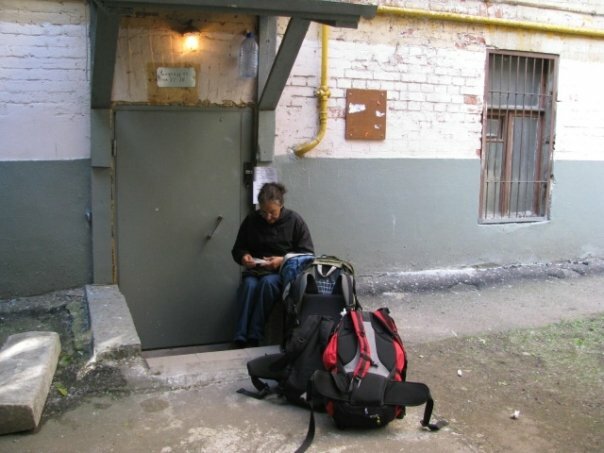 It’s a great way to see what a real Russian apartment is like. 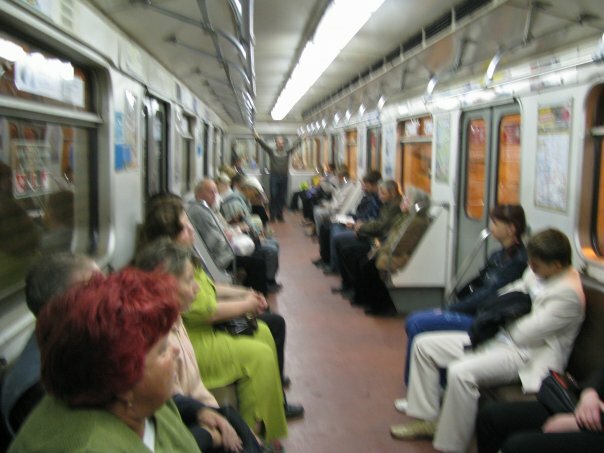 Go to Borovitskaya (Боровицкая) or Okhotny Ryad (Охотный ряд) metro station. Then follow the herds of tourists. 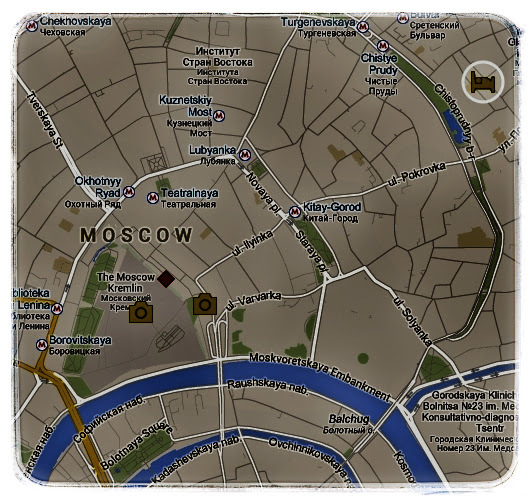 The Lenin Mausoleum – Free. But no bags or cameras are allowed in. Lockers are available for a fee. 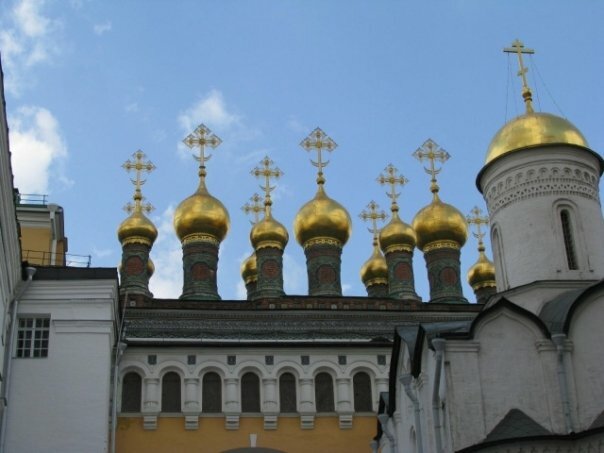 The Kremlin – Everyday from 10:00 to 17:00, except Thursday when it is closed. The Lenin Mausoleum – 10:00 -13:00 everyday except Mondays and Fridays when it is closed. Stalin is buried near the Lenin Mausoleum. The railway station is near Komsomolskaya Metro Station (Комсомо́льска). This is the railway station to get the a train to Helsinki or St. Petersburg. The train to Helsinki is the 031/032 Lev Tolstoy ( Лев Толстой) to Helsinki Central. 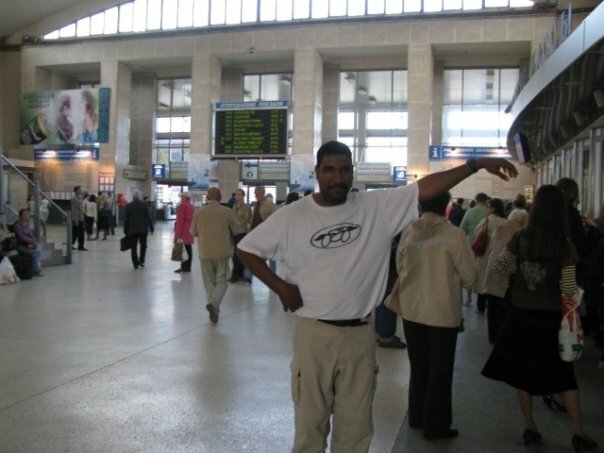 Here, like every railway station in Russia, you will get free access to the bathroom if you bring your train ticket with you to the facilities. There is a decent grocery store near this railway station if you want to pick up some snacks for your trip. It’s a block away from Dostoyevskaya Metro Station. Free for all students with student ID. Free for everyone on the first Thursday of every month. 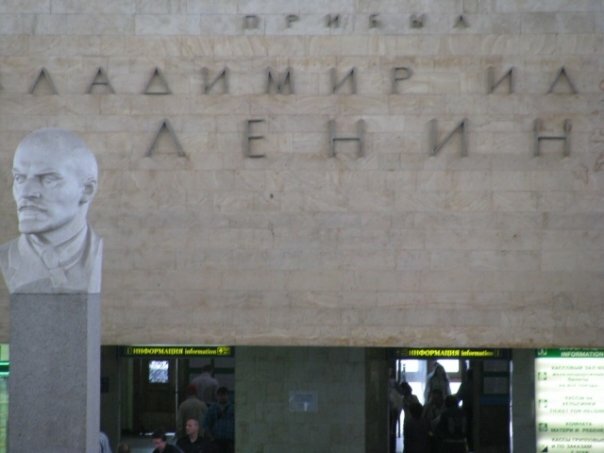 This railway station is near Ploshchad Lenina Metro Station. This is where to get a night train to Helsinki.